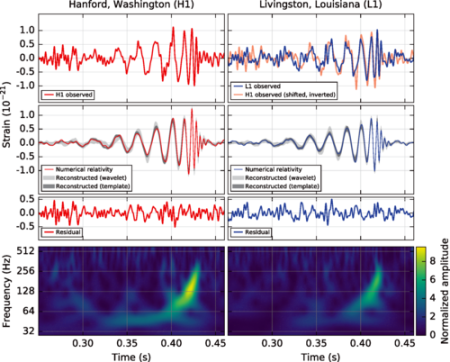 The gravitational-wave event GW150914 observed by the LIGO Hanford (H1, left column panels) and Livingston (L1, right column panels) detectors. I’m more excited by this than the detection of the Higgs Boson. That was essentially another particle in the managerie; this is the first glimpse at new way of probing the universe. Hopefully we will see something unexpected! I headed north at the weekend, leaving Heather to entertain herself. 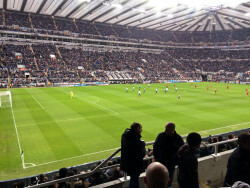 I was up in Newcastle to see my Dad (unseen since Christmas so we had to exchange christmas (and birthday!) presents). 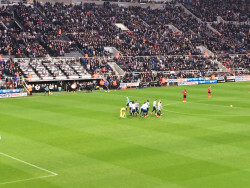 Before that I took in Newcastle play West Brom which we actually managed to win. A good little trip north then.